Shine stainless steel with olive oil. For extra sparkle, pour olive oil onto a cloth and buff to your heart's content. 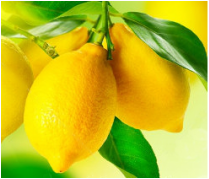 The best way to polish wood furniture: combine 2 cups olive oil with 1 cup lemon juice or vinegar. Work the mixture into the furniture with a soft cloth. To smooth out scratches in light-colored wood, rub them with a solution of equal parts olive or vegetable oil and lemon juice. First of all. it's multi-purpose. Best of all, it's CHEAP! 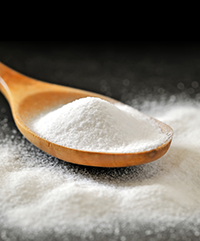 The cost of baking soda (especially when purchased in several pound large boxes) is far less than that of any other, specialized cleaning agent. Baking soda (which is alkaline) works well as a so-called ‘green’ deodorizer because it bonds chemically to neutralize acid-based odor-causing agents. The reverse may be true for acidic substances such as white vinegar or used coffee grounds, which are also often recommended as ‘green’ odor removers. The key takeaway here is that you need to know the basic chemistry or biology of an odor you’re attacking in order to determine what substance will be effective at eliminating it. For serious odor sources such as black mold or pet urine, it’s best to call seasoned pros (like Greener Housekeeping) who know how to remove both effectively and safely. liquid laundry soap at home. Grate bar of soap and add to saucepan with water. Stir continually over medium-low heat until soap dissolves and is melted. Fill a 4 gallon bucket in half of hot tap water. Then add melted soap, washing soda and Borax. Stir well until all powder is dissolved. Next step is fill bucket to top with more hot water. Stir, cover and leave it until the next day to thicken. Stir and fill a used, clean, laundry soap dispenser half full with soap and then fill rest of way with water. Shake before each use. And of course you can add 10-15 drops of essential oil per 2 gallons. Add once soap has cooled. You can use: lavender, rosemary, tea tree oil. Why do we like Vinegar? We're big fans of having vinegar in our cleaning arsenal. It's great at freshening laundry, cleaning windows, clean carpets and much more and also inexpensive and all-natural. But don't forget it: vinegar is acidic, which means that you can't quite use it everywhere. How to clean with Borax in your home? Borax is a naturally occurring mineral that has water-softening and whitening properties. Use it as a laundry booster and to clean and deodorize. The best way to clean toilet with Borax: Pour 1 cup of borax into the toilet bowl at night before you go to sleep. The next morning clean out the toilet bowl with a brush. The borax will loosen all the grime buildup.